What is the Achievement Awards Program? The Achievement Awards Program is a non-competitive awards program which seeks to recognize innovative county government programs. One outstanding program from each category will be selected as the “Best of Category,” and 100 programs will win The Counties Matter Challenge: Brilliant Ideas at Work. Winners will be recognized at the 2017 NACo Annual Conference and Exposition in Franklin County/Columbus, Ohio from July 21 – 24, 2017. For each program nominated, general information, program summaries and payments must be must be submitted to the National Association of Counties (NACo) via the online application portal and payments processed via P.O. must be postmarked by the application deadline. For more information, please see the How to Apply section. Judging and review will not take place for unpaid or incomplete applications. Only county governments and state associations of counties are eligible to submit applications. There is no limit to the number of applications that can be submitted by a single entity. Regional partners are welcome to submit applications for a collective project; however submitters must identify a single county or state association to submit the application on the group’s behalf. The start date of the program must be explicitly stated; the program must have become operational after January 1, 2012 and must have measurable results. County officials and/or staff, as part of their official duties, must have played a significant role in developing and implementing the program, with limited assistance from outside technical experts and/or consultants. All steps in the application process must be completed and all application fees must be paid in full by March 27, 2017 at 11:59 PM EDT. 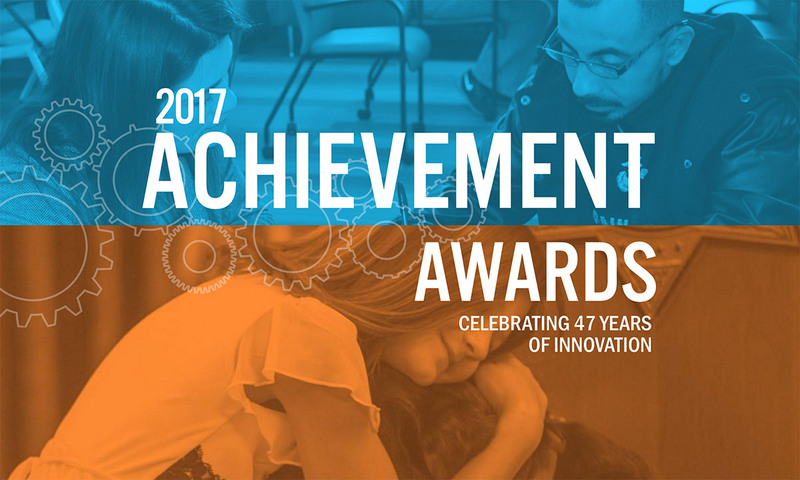 Winners of the 2017 Achievement Awards will be notified the week of April 24, 2017. The program must meet the conditions outlined in the next section, Program Criteria. Offer new services to county residents, fill gaps in the availability of services, fill gaps in or tap new revenue sources. Improve the administration of an existing county government program. Upgrade the working conditions or level of training for county employees. Enhance the level of citizen participation in, or the understanding of, government programs. Provide information that facilitates effective public policy making. Promote intergovernmental cooperation and coordination in addressing shared problems. In the case of a program that is in response to a federal or state law, regulation or order, the program must go beyond mere compliance with the statute, regulation or order and must display a creative approach to meeting those requirements. The program must have measurable results (e.g. cost savings, employee productivity, constituent services and better intergovernmental cooperation). The program must be innovative and not rely on the application techniques or procedures that are common practice in most counties of similar population or size. All aspects of the program must be consistent with acceptable governmental and financial management practices and must promote general governmental accountability. Programs designed to influence laws or regulations. Events that ONLY take place one time, such as conducting a conference, the formation of a task force or the establishment of a committee. Programs that are adopted, whole or in part, from other public or private entities. Programs, whole or in part, that have received a previous NACo Achievement Award. Programs that only purchase new technology or equipment, the construction of a building or the privatization/ contracting out of a function. A newsletter or a publication. Under the leadership of NACo President Bryan Desloge, NACo launched a friendly competition to identify and share 100 examples of visionary county leadership that results in improving residents’ quality of life. By applying for the 2017 Achievement Awards, your entry will be in the running for the Counties Matter Challenge: Brilliant Ideas at Work. We will build an honor roll that highlights county innovation at its best. Through this presidential initiative, NACo is working with county leaders, state associations, affiliates and other partners to share best practices that bolster our nation’s ability to thrive amid ever-changing physical, social and economic conditions. Though no two of America’s 3,069 counties are alike, many face similar challenges and learn from one another’s experiences. Winners of the Counties Matter Challenge: Brilliant Ideas at Work will be notified the last week in May 2017. Include writing that is clear and concise. The average reader needs to be able to understand the objectives and judge the merits of the program. Have measurable results. Programs could have been implemented five months ago or five years ago, but outcome measures must be available and clearly expressed. Please prepare your nomination summary according to the guidelines below. All applications must have the county name and page number on each page and must be submitted in PDF format. A nomination summary can be no larger than 2MB. In approximately 300 words or less, summarize the program include the program description, the purpose and outcomes. Please note that abstracts of award winning programs may be published. Provide concise, accurate information as this section will be used in whatever format it is submitted in. Discuss the problem or need that prompted the development of the program and the county’s legal obligation, if any, to take action. Approximately ¼ pages. Provide a description of the nominated program including its objectives, time frame for development and implementation, clientele, the county’s role in implementing the program and the contributions of any other partners where applicable (e.g. states and the federal government, consultants and private partnerships). Approximately 2 ½ pages. If applicable, describe how the program responded to recent county budget constraints or addressed the county’s new economic reality. Approximately ¾ pages. Describe all the items of technology that your program utilized in its implementation. This could include intranet, internet, websites, GIS, GPS, cable, kiosks, software, LAN, WAN, databases, etc. You may provide this information in list or paragraph format. Approximately ¼ pages. Describe both the operating and capital costs incurred in developing and implementing the program. List all costs that would be incurred by a county attempting to replicate the program. Approximately ¾ - 1 page. Provide a description of the results and the success of the program in meeting its objectives. Include specific examples and outcome measures. Approximately ¾ to 1 page. Give justification for why this program meets the outlined criteria and should be awarded a 2017 Achievement Awards. Approximately 1/4 – 1/2 page. Supplemental materials such as pictures and charts may be uploaded in separate PDF documents once you complete the check-out process. Supplemental materials are not required but are highly encouraged. Please note that supplemental materials may be published. The individual listed as the contact in the application should be the primary point of contact for this program. All correspondences and logistical communications about the program will be directed to the person listed on the application. Applications for the 2017 Achievement Awards Program will be submitted online with NACo’s Achievement Award Application Portal. To complete the application process, each person must have a log in (your email address). If your email address is not registered in the NACo database or if you are not a NACo member, please follow the directions to create a log in. Once logged in, your contact information will automatically populate the online application form. Please note, if you are submitting the application on behalf of another person in your county, please be sure to indicate the other person as the PRIMARY POINT OF CONTACT at this time so that we can reach the appropriate party with any programmatic questions. Should your program win an award, the program title you provide will appear, exactly as it was submitted, on the certificate as well as any media channels. The title should be no more than 75 characters and should not include the name of the county. Please choose one category from the drop down list on the online application. Note that the selection of a program category should be determined by the content of the program, not the organizational department implementing it. If you feel your application fits into two or more categories, please choose one that best covers the main topic area of the program. All applicants must agree to the following terms and conditions in order to continue with the application process. By agreeing to these terms and conditions, the chief elected official (CEO) of the county certifies that this program is conducted in accordance with any applicable local, state and/or federal laws. In addition, the CEO certifies that this program is operated as described in the submitted award application. The fee for each application until March 6, 2017 is $75. On March 7, 2017, the fee will increase to $100 until the 2017 Achievement Award deadline of March 27, 2017. There are two payment options for Achievement Award applications. Any application received without payment will not be judged or awarded. Online – Payment by credit card may be made through our online application system. Once payment is submitted, a receipt will be emailed to the email address provided.